When scoring cuts, an intelligent evacuating unit which moves behind the blade with the saw prevents dust and chips from flying off uncontrollably during the cutting process. This keeps your machine table clean, even during extremely narrow scoring cuts. The cutting position recognition feature optimally controls all evacuation openings in the pressure beam. This always ensures maximum evacuation power directly at the saw blade, keeping your machine table clean at all times. Evacuation openings that are not required are closed automatically – but can be adapted manually via the control unit if needs be. 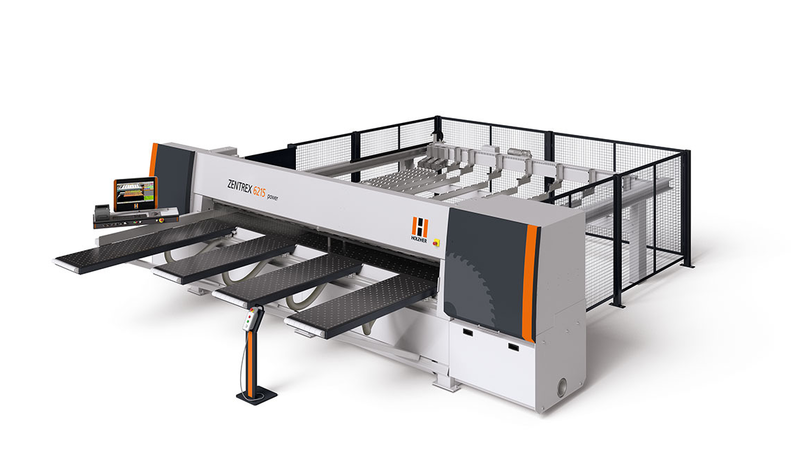 For panel sizes which are difficult to differentiate in terms of length or width in spite of 3D simulation on screen, the ZENTREX 6215 offers a laser positioning system with accuracy down to the last millimeter. Your advantage: makes remeasuring panels or incorrect positioning in the machine a thing of the past. Moreover, you minimize incorrect cuts and rejected parts.